Is Selling A House As Is in California My Best Option? Selling a House As Is in California requires you to disclose all known deferred maintenance and defects. As long as they are disclosed you are NOT Liable. Only you can answer that question, but Selling a house As Is in California really is as simple as it sounds. There is a basic misconception that unless the listing or advertisement to sell the houses says specifically that the house is being sold in its As Is condition, it is not. The fact is that all houses in California are sold in their As Is condition and it written right into the standard Purchase and Sales Agreement. There is no one right way to sell a house in California, but one thing is for certain, homes that have been updated, repaired and are in Move in ready condition are going to get the most traffic and fetch highest sales price. It is why that 99% of real estate agents will recommend that a homeowner fix and update their homes prior to selling. It is a good strategy if you have the time, money and resources to do that. It is also the reason that most Banks and Mortgage Companies will not finance houses that are being Sold As Is in California. Lenders do not want to add an additional layer of risk to homeowners that are not prepared to deal with the challenges, financial or otherwise, when buying a house As Is. The first thing that any homeowner must do when they are considering selling a house As Is in California is understand the numbers. Get to know the market. Understand what your house is worth today in it’s current as is condition and what it would be worth if you fixed and updated it to compete with the other houses in the neighborhood. Remember that not all houses are the same and the competition when selling a house is fierce. 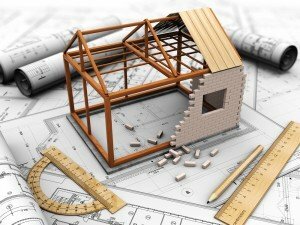 The condition of your house may end up be the single largest advantage or disadvantage you have, but you need to understand that and be realistic about that before you establish a price. Are you willing and able to identify and fix all of the issues with your house? Can you afford to make the necessary repairs and updates to compete? If you make those repairs and updates, will you ever see a return on that investment? What is the time frame that you need to sell before the house becomes a drag on your other assets? Homeowners that have chosen to advertise their homes As Is have already answered the question: “Should I fix or update my house before I sell?”. The answer to this question is different for every homeowner. It all depends on a seller’s situation and how much they are willing to take on. It is about time and money and how they view their unique situation and what their choices are. 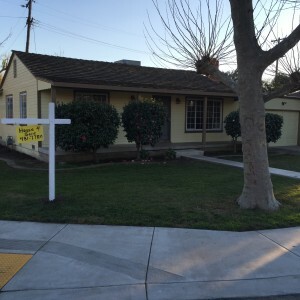 So what does it mean when a homeowner decides to sell their House As Is in California? Selling a House As Is in California most often refers to the condition of the house and that the homeowners are unwilling to make repairs or updates on the house. 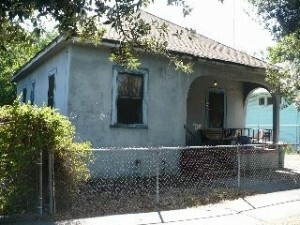 It is a statement to the buyers that the owner is not willing to negotiate on repairs and a lot of times price. Remember that homeowners have many different motivations when selling a home and some just need to sell a distressed house before it drains their other assets as well. 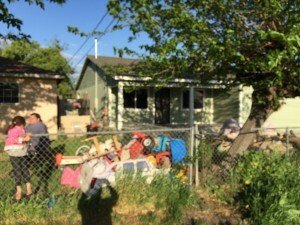 In one instance a homeowner may have lived in the house for years and sees nothing wrong with its condition and sees no reason to put any money into it for repairs or updates. 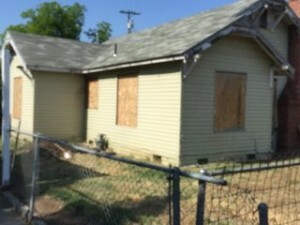 In another instance, the homeowner may have inherited a house from a family member and they live out of the area and have no idea regarding the houses condition and just want to sell it as is without the need to make any repairs. What Selling a House As Is in California Does not mean? California has strict disclosure laws that require owners to disclose whatever issues are known at the time of the sale. So just because a seller wants to market a home in it’s As Is condition does not mean that they don’t need to disclose any known defects, deferred maintenance or use restrictions. If you don’t want to deal with the hassle (and cost) of identifying and fixing problems that may exist, you can sell your house “as is.” This essentially tells the buyer that you don’t want to fix anything and it could also mean that you are unwilling to lower the price for repairs. 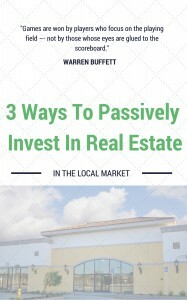 There are many benefits to selling a property as-is in California and it can really save someone a lot of money and time, depending on their unique situation, but there is also a downside. Most Buyers Will Not Consider Purchasing a House As Is? 95% of Buyers will not look at a house being Sold As Is. The risk of the unknown is too great. One thing is for sure that if you list your house for sale As Is in California it means “let the Buyer Beware”. It is a red flag and by doing so you will eliminate about 95% of the buyers looking to purchase a home. that is a big number to overcome and here is another one. 95% of all buyers are going to order inspections. You need to understand that just because you want to sell your house As Is, doesn’t mean that you can deny a buyer their right to order and pay for inspections. 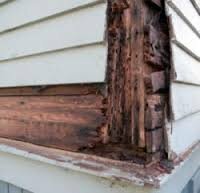 There are many types of home inspections and the most intrusive is the termite and wood destroying pest and the general home inspection. Both will uncover many issues with a house real or perceived and once issued they are part of the houses history and even if you dont sell the house to those buyers, the results of those reports will have to be disclosed to all future buyers. For most buyers perception is reality and they perceive that any house being sold As Is, is going to be a lot of work and for good reason. 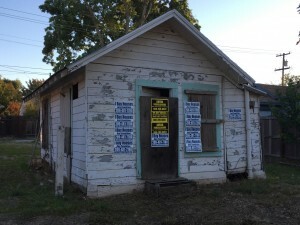 They are steered by family, real estate agents and lenders away from properties being sold As Is because of the deferred maintenance or other serious issues that are typically endemic is buying a distressed house. The risk of the unknown is a great motivator, and when purchasing a home, most buyers will just not purchase houses advertised as being sold As Is. Most will hedge their bets and pay more for a house that is in move in ready condition. Banks will Not Finance Houses sold As Is. All lenders will order an appraisal before funding a loan to make sure that the underlying asset has the necessary value to act as sufficient collateral. In the case of a FHA and VA loan, the appraisers also will inspect the condition of the house for defects and as part of the Appraisal will score the house (plus or minus) based on its meeting a set of minimum living conditions or standards outlined in the banks guidelines. For these types of loans homes being sold as is will never qualify. In some instances where buyers are making a larger down payment as with a conventional loan, the buyer usually needs to establish that it has the experience and the necessary funds set aside to make the repairs required for such a purchase. My name is Peter Westbrook and I am the Owner of Westbrook REI. 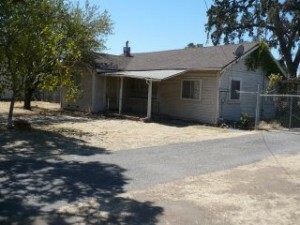 We are a local real estate investment company and we buy houses in their As Is condition in Sacramento, Stockton, Manteca and Modesto, Ca. CONDITION OF HOUSE AND APPLIANCES: Buyer and seller agree that the Buyer is purchasing the House in its Current As-is Condition without regard for any defects and does so without any contingencies including the reliance of any statements made by the seller Whatsoever. Buyer and Seller agree that Buyer is experienced in the business of purchasing houses and enters into this agreement at its own choosing and does so at its own risk of loss. 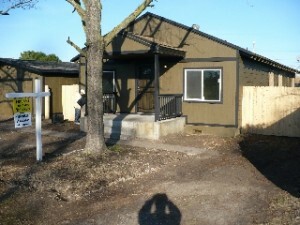 Buyer and Seller agree that Seller makes NO Warranties regarding the condition of the house whatsoever. Buyer and seller also agree that Seller makes no warranties regarding any mechanical systems, plumbing, electrical, sewer or that any appliances will be in good working order at closing. Buyer and seller agree that Buyer will have access to property during the escrow period for inspection of which the cost of any inspection and or any needed repairs will be paid by Buyer at the Buyers Sole Expense. We are NOT Realtor’s and we don’t care that the house needs work, what the address is or whether there is mold and mildew, water damage, fire damage, or broken tiles in the kitchen or bathroom. We don’t care that there are code violations with the City. Tenants and family members that won’t leave. When you sell your House to us, we take that liability that you currently have and turn it into an ASSET for you. 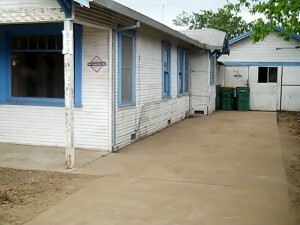 We do all of the paperwork, leg work and set up the escrow account through the title company.. We make the phone calls. We clean up the mess! All we care about at the end of the day is that we keep our promise to you to buy your house and close when we say we can close. At “Westbrook REI” we are the best at what we do because we work at it every day. We understand that a commitment to customer and a commitment to our business only happen with hard work. We have years of experience and a plan that we follow. We are a real company with real people that are committed to helping you achieve your goals. 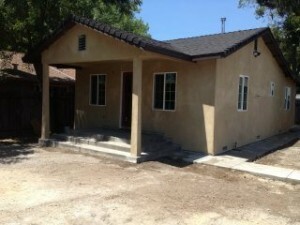 We buy houses in Sacramento, CA and its surrounding areas in Galt, Lodi, Stockton, Manteca, Modesto, Ceres, Tracy CA. If you need to sell your house fast, call us… we’d love to make you a fair no-obligation no-hassle offer. You’ve got nothing to lose, but we’d love to earn your business.